To make it as easy as possible for you and to avoid errors, we perform the imposition (arrangement of the pages on the sheet) for you. 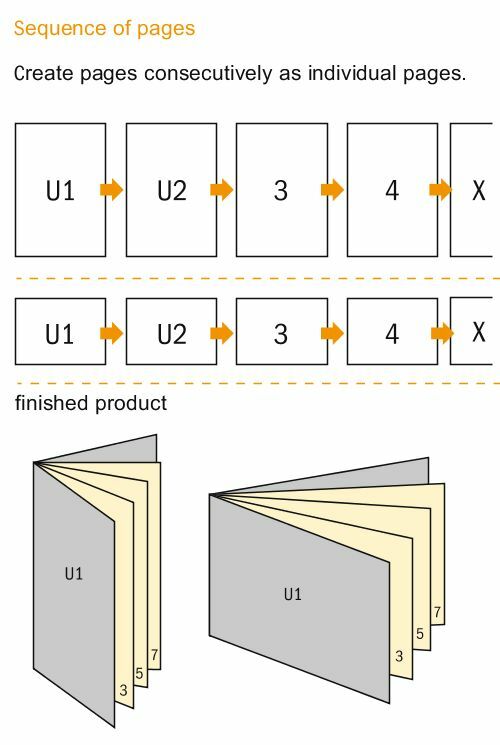 Therefore, the individual pages of the contents (3, 4, 5…) must be created in sequence and may not be imposed in advance (e.g. 150/3, 4/149, etc. is incorrect). You can deliver the individual pages either all together in one PDF file or each page as an individual PDF, whichever is easier for you. The important thing is: individual pages, no double pages! It should be noted here that almost all layout programs offer the option of a double-page display for layout. However, the pages in such programs are only displayed as double pages and are still single pages after export. You can of course use this option. In addition to the requirements concerning your print data, please observe the following peculiarities for brochures and catalogues. 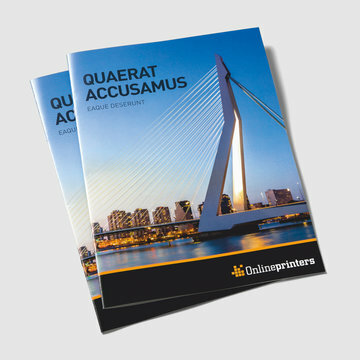 Should your print files lack a bleed or contain a bleed in white, we reserve the right to cut the brochures smaller.